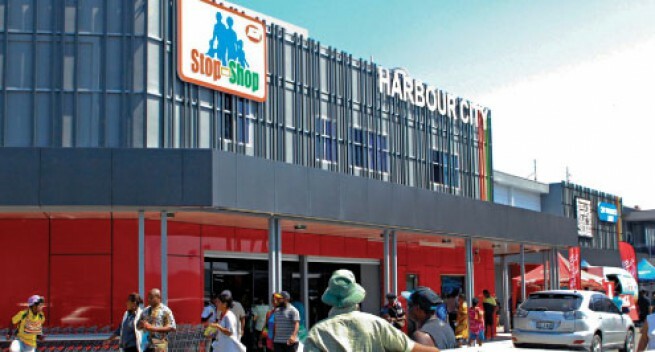 City Pharmacy Limited (CPL) yesterday officially opened its ninth and “best” Stop and Shop outlet at the Harbour City in Konedobu. CPL has risen its standard says CEO Ravi Singh. “This shop is of international standards. Its modernized, offers 14 000 thousand different items, has 260 new employees offering their services and has the longest trading hours of any shop in PNG- from 7 am to 9 pm.” He described the location as strategic as it can be accessed by those in down town Port Moresby and the neighbouring Motuan villages and Kondedobu offices. According to Sales Manager, David Bell this outlet is the best. “This shop is the model Stop and Shop outlet. Some things that are found here cannot be found in other shops. Despite this, we still maintain our slogan cheap prizes every day.” The shop comes at a cost of K 18 million; K 8.5 million from CPL while the business arm of the East New Britain Provincial Government, the ENB Development Corporation Limited group of companies put in K 10 million. The shop’s opening is the second partnership between the two. The first resulted in the opening of Stop and Shop Koki two months ago. The official opening yesterday commenced with a ribbon cutting ceremony presided over by William Lamur, the Managing Director and CEO of the ENB Group of Companies. “The modernized properties offer customers a new shopping experience with a promised consistent excellent customer service, accompanied by a wide range of product offerings. I urge all to experience shopping with a difference and convenience at our outlet,” said Mr Lamur.